It's weird I feel like I can harvest already except there's one side not that still looks young in the flowering stage. 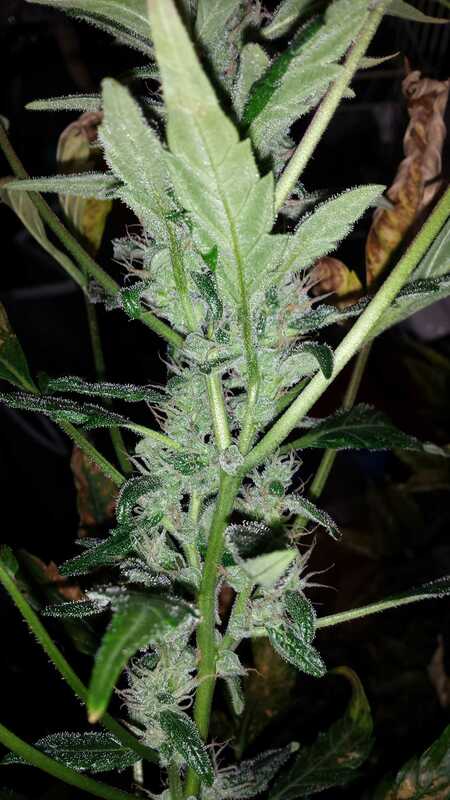 So is it possible for some colas to finish way before others? From my understanding they don't all develop as fast for a number of reasons. 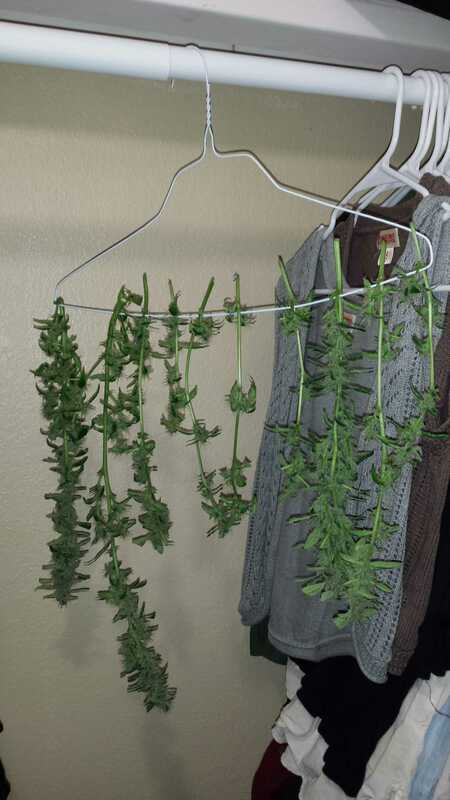 If you have colas that you determine are ready, I don't see why you can't snip them now and let the plant put its remaining efforts into the slower bud. It may give you an opportunity to open up the plant somewhat so you get light to as many flowering nodes as you can. I don't know if lack of flush would be an issue. It might mean being very judicious with your cure process. I guess it's kinda like fruit on a tree. Some ripen faster so you pick those and leave the rest. Gotta be careful though cutting the main stem if some of the kolas are connected. Well I got most if it cut down. I can tell that the bigger bud branches are the ones I mostly lst'd at the beginning. But I do have some more branches I'll cut later. Nice harvest. Better than that colorado crud. That surprised me that its that bad for a rec state. I went out there 2 years ago and didnt see anything that bad. 9,932 topic views. 0 members, 21 guests and 29 web crawlers are browsing this forum. Generated in 0.034 seconds spending 0.007 seconds on 19 queries.